CHURCH MUSIC SONGS - Good Christian praise worship songs with lyrics and chords for churches. Find our best contemporary list of songs for your Sunday church services. Are you looking for new praise and worship church music – songs for your Sunday church services? Discover the music of The Secret Place! Listen to our most popular church choruses in the player on this page and download all the files you need. Our intimate songs of the heart are sure to inspire and help you lead your congregation in worship. Some of these songs make excellent choruses for Sunday morning worship, and for this purpose permission is given to make copies of this music for distribution to your local church musicians. Professionally scored piano music for these songs (melody line, chords, lyrics) for most of our favorite choruses are provided free of charge. If you simply need guitar chord charts or lyrics for overhead projection they are also available below. Free chord charts to the songs from some of our most popular albums! Great for Sunday worship! Download now! Looking for free modern praise and worship songs for your church service? Download our most popular worship songs & choruses from The Secret Place albums below. They are quality mp3 files that are easy to download to your computer. You can then burn them to cd or put the songs on your iPod or mp3 player. Our songs are sung in churches and Christian gatherings all over the world. Many are registered with CCLI but not all of them, so we have provided a list of our best contemporary worship songs with full lyrics, chords and sheet music below. You can listen to a song clip of the songs in the player at the top of this page, click on the album link, or listen in iTunes. If there is a link provided to a youtube video it will be the full-length version of the song. Download our most popular contemporary praise worship songs. These praise and worship songs are typical of charismatic renewal type worship. They are perfect for soaking and entering into God's presence. Pursuit of His Presence cd is an example of our best live worship album which includes long periods of soaking and spontaneous praise and worship. Click here for an extended list of our praise song lyrics (including Christian guitar chords and lyrics, midi files, mp3s, piano sheet music, charts and other songsheets). And remember to vote for your favorite song! 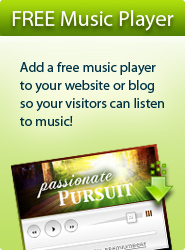 Beautiful free music players for your blog - Click here! The development of church music is a constantly evolving process that often reflects the music of the culture where it is found, and the use of a wide variety of instruments most suitable for that style or genre. In the early centuries Gregorian chant was altogether unaccompanied, but instruments were added to give support and variety to the creative expression of worship. In more recent times the Christian music genre has developed to allow almost any known style of music and incorporate any instrument available. In western societies this has weighed heavily in favour of electric guitars, drums, bass and keyboard. In the last 50 years contemporary worship music has moved away from using the church hymnal as its main source of musical liturgy. People in modern churches (especially independent Pentecostal churches and other independent non-denominational branches of the Christian church) began to desire a more spirited and fresh approach to worship. A simpler form of song writing began to evolve where printed text or hymnals became unnecessary as the lyrical content of the song was greatly reduced and people could sing the song from memory without the need for printed text. It has been argued that the lighter content of the new church chorus has cheapened the worship experience, but this is offset by a greater freedom of expression and more modern and relevant content in the song. New Zealand has been recognised as a pioneer in the movement towards freer expression in praise and worship as the song books of Scripture in Song were embraced by many churches worldwide. These new choruses were based on passages of scripture and were generally much simpler in lyrical content and melodic structure. They consisted mainly of several verses and chorus, and many simply had only a chorus. The chorus is usually the most memorable part of the song and is sometimes the only part used, and often repeated many times in immediate succession. This sort treatment was never given to a hymn which tended to be too long with too many verses for this to be possible. But the brevity of the new “chorus” (as it came to be commonly known) made it possible, and indeed necessary, because due to the nature of the brevity of the song it did not seem finished until it had been sung several times. The song books themselves usually differed from the full organ or keyboard music of the older style hymns, in that the accompaniments usually only had one or perhaps two chords per bar, whereas a hymn can have up to four chords per bar. This weight of the harmonic rhythm of the older style hymns made them feel quite weighty in nature compared to the lighter harmonic rhythm of the newer chorus style of writing, which tended to be light arpeggio-type accompaniment in the left had for the keyboard with a more chordal structure in the right hand following the melodic line in its upper voice. Some arrangements have the melody line on a separate stave above the accompaniment. It is also quite common to have the chordal structure outlined above the stave so a guitarist or some other instrument can also read the music. This newer style of song writing made the performance of church music more accessible to a greater range of musicians as this kind of music could be accompanied on guitar relatively easily. It is difficult for a guitarist to play an older style hymn with several chords per bar, as some of them are quite harmonically complex. The nature of the new chorus could be quite simple by comparison, with only 2 or 3 main chords being necessary to accompany the song on a single guitar. In choosing a key for the accompaniment the tendency was to avoid the flat side of the key, or keys with too many sharps in the key signature, as this made accompaniment on a guitar more challenging. In the latter part of the 20th century groups of young Christians began forming groups for evangelistic purposes and began playing in cafes or college environments with the hope of attracting a listening audience. To do this they began to write songs in the then current popular musical styles of their culture. The Jesus music movement became popular and Christian bands sprang up overnight all over the world as part of the charismatic renewal in worship. Soon this “pop band” influence was felt in the church. Christian churches began to adopt these popular styles of music into their worship services. Today it is common for groups of musicians known as the “worship band” or “praise team” to lead the congregation in worship in a style that is current to the popular culture of their day. Some of the more extreme elements of the many diverse genres of music heard today (heavy metal, etc) are not heard in churches but may be heard in auditoriums hosting Christian music concerts or festivals. Some of the mainstream propagators of Christian music for congregational singing today are the Vineyard, Hillsong, Jesus Culture, Integrity Music, and other streams. An interesting form of worship was developed in the early years of the 21st century that may be considered congregational but actually non-participant by nature, and that is the soaking movement. Soaking music does not require the active singing of a group of people but merely the passive role of “soaking” in the presence of God while listening to worship music being performed live, or recorded music being played through a sound system. Some of the songs of The Secret Place, while useful for singing in churches as choruses, also have the dual purpose of being able to be used as soaking music if so desired. Examples of this kind of music can be heard here. Popular Worship Songs - Find CCLI's top 25 worship songs list for the most popular praise and worship songs. The Top 25 Praise Songs lists are updated after each royalty payout. Modern Praise Worship Songs - Download royalty free mp3 praise song worship. Over 3000 free song downloads from independent christian songwriters. We personally recommend ShareSong as a great resource for worship lyrics. The site offers our own free worship music lyrics, guitar chord sheets, charts and other songsheets from our Secret Place albums. ShareSong also has music resources for hundreds of independent praise and worship gospel artists. Support your favorite local indie artist with your song vote. 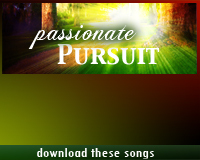 Christian-lyrics.net is the largest search engine for Christian praise lyrics. Find the best free chords and lyrics to your favorite worship chorus, old praise worship song lyrics and most popular worship songs. This is a good resource for worship leaders. Search by artist, track, album, or topic. Find free praise and worship song lyrics, contemporary Christian song lyrics and Christian rock lyrics from all your top artists. "I have been involved in contemporary praise and worship for the last 34 years and The Secret Place now tops my list."